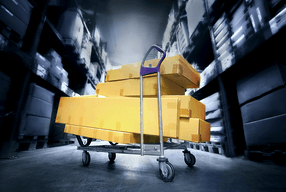 An important part of effective inventory management is monitoring and controlling residual inventory, or the parts left on the shelf after the last shipment is produced. It's important that every business orders the right quantity of parts at the right time to reduce the extra, hidden costs tied to residual inventory. The right suppliers discuss residual inventory with you up front during the quoting process. At RBB, we involve a materials specialist from the start to ensure that residual inventory is a managed element of the overall plan. This eliminates unforeseen surprises or sensitive conversations down the road. Throughout the process, potential residual inventory should be identified in the pricing model spreadsheets a supplier uses. Proposals should also include important metrics such as expected lead times and applicable minimum purchase requirements for parts. We make sure to let our clients know how their residual inventory costs will change with order quantity, and how small adjustments to their purchase orders can reduce this cost based on a specific commitment. It's equally critical that suppliers calculate and communicate future residual inventory when their clients redesign or phase out a product. This will help them understand the cost implications of the decision. For example, at RBB we help clients navigate the cost effects at the end of a product’s lifecycle. When we know another order isn't forthcoming, we run a residual inventory report that shows the excess parts we still have on hand. At that point, our client can decide to either place an order to consume these parts in a final run or dispose of the parts in another way. When running a large number of unique assemblies, it's imperative to have a method in place to consistently communicate residual inventory levels for the benefit of both the contract manufacturer and customers. This includes keeping everyone informed of part lead times, delivery hurdles, material obsolescence, and options to reduce leftover parts. At RBB, we only keep the right amount of inventory on hand for our clients. We’re well aware of how costly residual inventory can be and make every effort to minimize the costs associated with it. This includes using continuous cut tape and/or mini-reels to reduce minimum buys, which results in less residual inventory down the road. This approach has an impact on unit price, yet when looking at a project’s bottom line, it often saves considerable cost. Typically, over time we're able to save each client thousands of dollars in residual inventory costs. To learn whether RBB is the right small batch PCBA supplier for you, reach out today to request a call with one of our small batch experts.